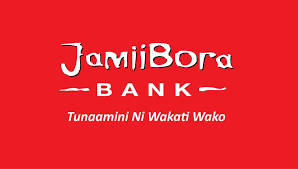 They have set themselves an ambitious target of becoming one of Kenya’s middle tier banks by the end of 2018. Our goal is to eventually become a Pan-African microfinancier and to grow with their customers towards financial prosperity. Their main focus will be leveraging on technology to enable their customers and all our stakeholders to have access to a truly robust financial service that will enhance and transform their lifestyles anywhere, anytime. They also plan to transform all of our sales outlets into fully-fledged bank branches, to invest in new strategically located outlets and to roll out a unique agency banking proposition thereby reaching more customers with not only our flagship enterprise products but with newer products and services to match their financial needs. We are committed to ensuring that all our customers and members achieve and exceed their own measures of success in every aspect of their lives and turn their dreams into reality! Previous articleHow to transfer money from your I&M bank account to a registered M-PESA user.